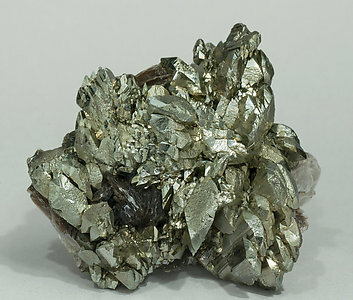 Aggregate of complete and sharp epitaxial Arsenopyrite-Marcasite crystals that have cockscomb shaped polycrystalline growths. They are very bright and are on matrix, with small white Calcite crystals and leafy Muscovite aggregates. Very bright and sharp parallel growths of transitional Arsenopyrite-Marcasite with leafy Muscovite aggregates. 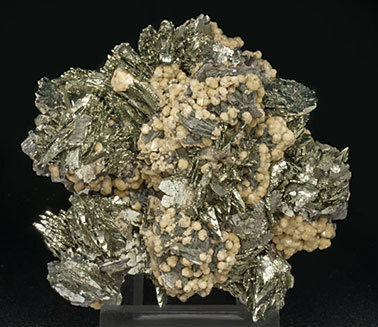 Fan-like aggregates with a first metallic-gray growth phase of Arsenopyrite that progressively passes to a second phase of very sharp Arsenopyrite-Marcasite crystals, with a very clear and bright Quartz crystal, rich in inclusions, and with small leafy Muscovite aggregates. 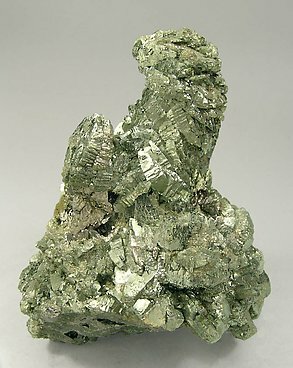 Metallic gray prismatic Arsenopyrite crystals that are very bright, some of them doubly terminated, and have parallel epigenetic Marcasite growth with greenish color. 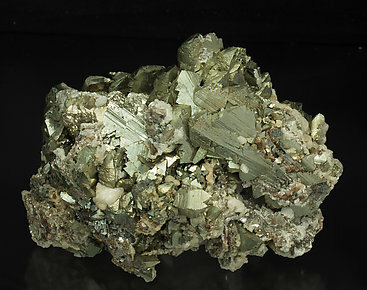 They are on matrix, with small tabular Siderite crystals and leafy Muscovite aggregates. 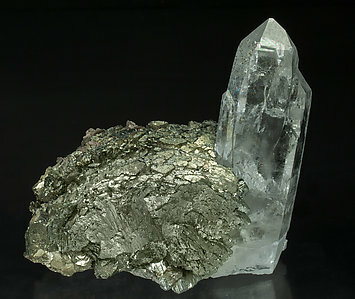 Epitactic growths of very well defined crystals of Marcasite, with excellent luster, on prismatic crystals of Arsenopyrite and with thin coatings of small crystals of Siderite in some areas. 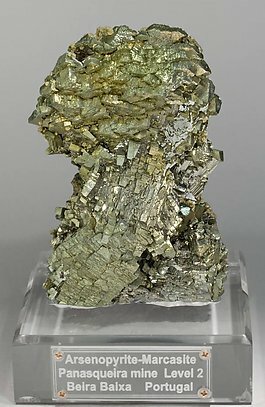 Multiple parallel growths of Arsenopyrite and Marcasite of very sharp and well defined forms, epigenetic on Pyrite. Epitaxial Marcasite on parallel growths of sharp Arsenopyrite crystals showing the so-called “key” shape. 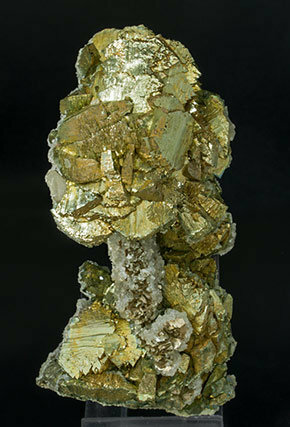 They are on matrix, with small white Calcite crystals, small Siderite crystals and leafy Muscovite aggregates.